If your sneakers reek after a run in the park, how do you get rid of the whiff? Throwing them in the freezer for 24 hours apparently kills off the odor-causing bacteria, but maybe you’re worried about trying to cook them as a midnight snack at the end of a boozy night out. So bang goes that option. Other solutions involve stuffing them with lemon peel or wood chips, or throwing them in water fizzing with denture cleanser. Hardly ideal, eh. 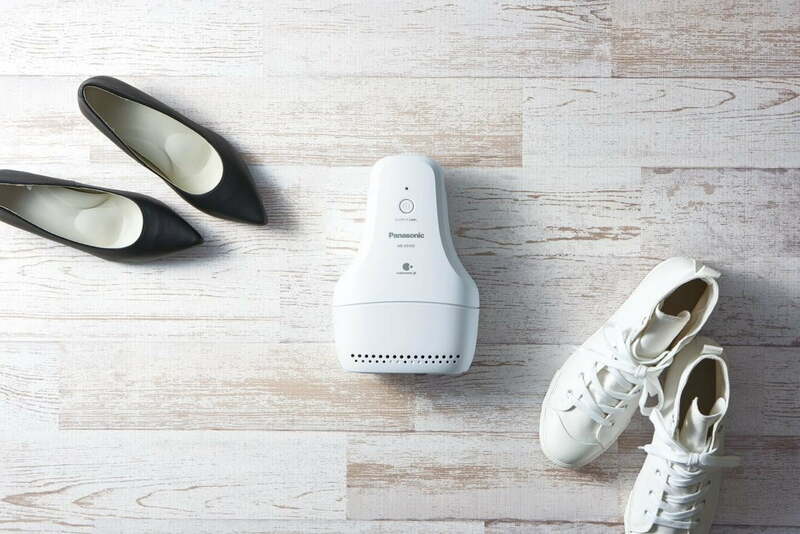 Spotting an apparent gap in the market for an effective shoe deodorizer, Panasonic has come up with a high-tech solution to get your shoes smelling as fresh as the day you bought them. Launching with a name that’s drier than an acute case of athlete’s foot, the “MS-DS100” uses nano-sized electrostatic atomized water particles, or “nanoe X” as Panasonic calls its system, to dissolve and eliminate unpleasant smells inside your shoes. Downsides? Well, you’d better not be in any hurry to get the shoes back on your feet because the two available deodorizing modes take longer than you might think. “Normal” mode needs no less than five hours to get your shoes smelling of roses, while the “long” mode — presumably for shoes with an odor so pungent it’s close to breaking some kind of international environmental law — takes a whopping seven hours to get the job done. Best leave it on overnight, then. If you think the MS-DS100 sounds like the device your smelly shoes have been waiting for, then you’ll have to come to Japan to get it, or find it online, as it’ll only be sold on Panasonic’s home turf when it launches next month. The price of the device is yet to be announced. This isn’t Panasonic’s first foray into the world of odor-busting kit. Last year the company launched a high-tech hanger that deodorizes clothes using the same technology as the MS-DS100.